Photo courtesy Lindsay Adler Photography. Ideally, every photographer who was ever asked to shoot outside would have the option to wait it out until the soft, beautiful, dusky light of the golden hour. But of course, in the real world, where outdoor weddings happen at all times of day and you need to book more than one portraiture client per day, it’s good to have a few tricks up your sleeve for dealing with difficult lighting. Strange times of day and inclement weather can lead to cool, dramatic shots — just look at the work of instructors Rocco Ancora and Ryan Schembri. If your client is looking for a beautiful, softly-lit outdoor images, even in direct sunlight you’d better know how to get gorgeous shots. In her class, Location Lighting 101, professional portrait photographer Lindsay Adler offered a step-by-step guide for how to shoot at noon with no shade. “Ideally,” says Lindsay, “you’ll have packed a diffuser of some kind”. There are a wide variety of diffusers available at all price-points, and many of them are easy to fold up and pack along with you — so keeping one with your gear is just a good idea in general. Used in tandem with a reflector, this is a simple way to fill in and soften the light, which will not only ensure more attractive photos, but also save you time in post-processing. Getting a great outdoors shot requires a sophisticated understanding of lighting. 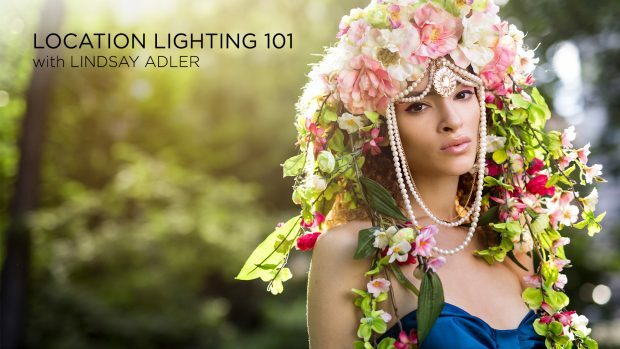 Linday Adler’s Location Lighting 101 is your introduction to the skills you need to shoot successfully in any outdoors situation. Still interested in learning to light? 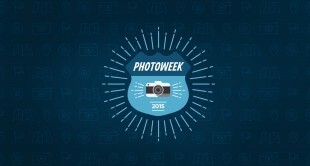 Check out our Ultimate Resource Guide to Lighting. And if you’ve only got the one-second shooter to hold the diffuser? Don’t sweat it. “You can even have [your subject] hold it,” Lindsay explains. If your diffuser is too small to capture the people you need in the shot, or you don’t have one, there are still ways to save your shot in direct sunlight. “At a minimum, what you want to do is…turn your subject’s back to the sun, so at least they’re not squinting,” says Lindsay. Even in the middle of the day, Lindsay shows that you can still capture beautiful and flattering portraits with just a few simple tools. There’s no need to bring the entire studio to the location in order to tame the harshness in midday light. Instead, a diffuser and reflector will help you control the unruly harshness and direction of light in the middle of the day. By carefully modifying the angles and direction of light you can really create light that sculpts the face and creates stunning portraits even at high noon.